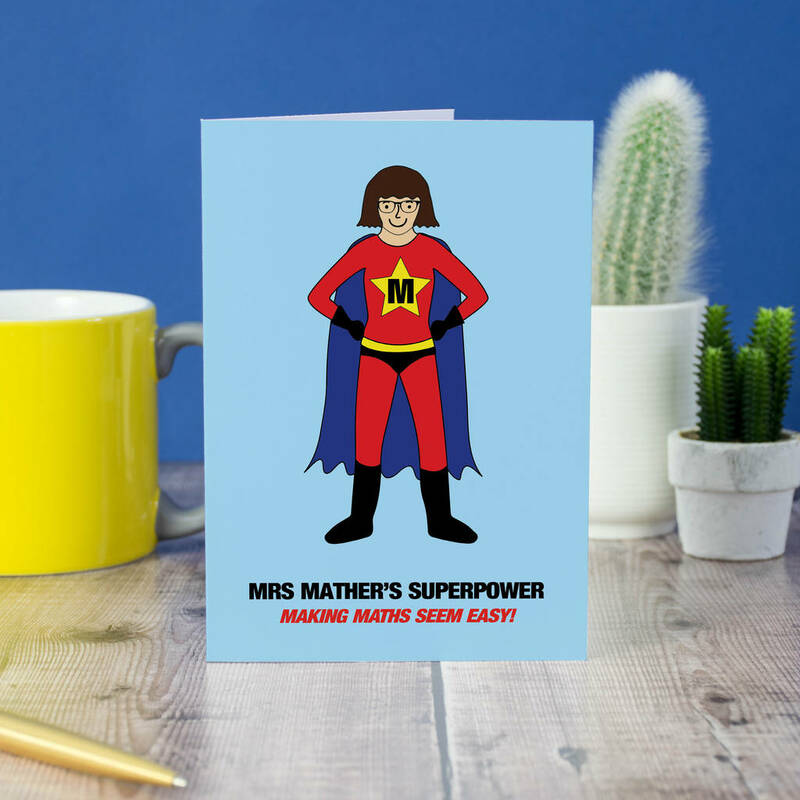 Teachers are well-known for their awesome teaching skills, but this card celebrates their superpower! A perfect thank you for the end of term. Everyone knows that teachers are basically superheroes, with the ability to explain complicated concepts to even the wriggliest of children! With this card you can show your teacher just how super you think she is. By choosing different elements like skin tone and hair, you will create a totally custom superhero who will then be printed onto high quality matte archival paper ready to celebrate her awesomeness and thank her for all her hard work and dedication. 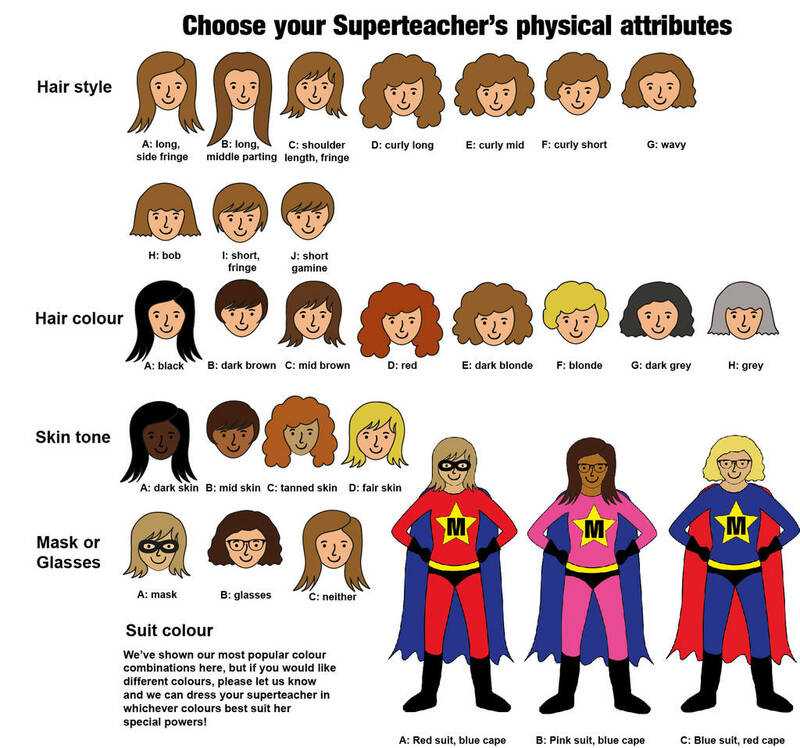 Start creating your superhero teacher by using the image shown to pick a hair style, a hair colour and a skin tone before deciding whether she should go incognito in a mask! You can then choose your suit – we’ve included our most popular colour combinations but let us know if you’d like different colours. You can choose from ten existing hairstyles in one of six different colours. We have four different skin tone options and three different suit colours ready to go, but if you would like to adapt any of the elements to get it spot on, get in touch and we’ll do our best to help create something extra special. We can tweak the hairstyles and add different colour combinations for the suit if needed. Your card is printed on a premium matt 245 gsm white greeting card and is sent with a white envelope. The inside of the card is left blank for your own message. Your card will be protected in sealed plastic sleeve and sent in a board envelope. This product is dispatched to you by nickynackynoo.